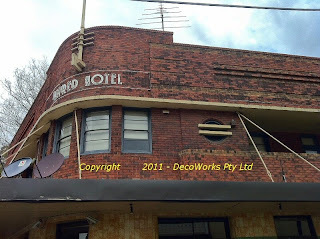 The Alfred Hotel at 51 Missenden Road, Camperdown, was originally established in 1861 as the Grose Farm Hotel and later O’Kanes Grose Farm Hotel. 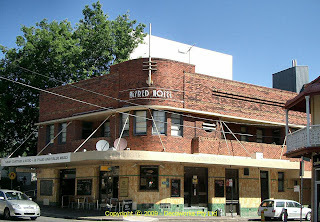 It was renamed The Alfred Hotel in the 1980s. The unique horseshoe-shaped bar and art deco features give the pub its warm and friendly character. The Alfred Hotel is of aesthetic significance as a 1939 hotel design by Copeman, Lemont & Keesing, and as a representative of an interwar Art Deco style hotel. 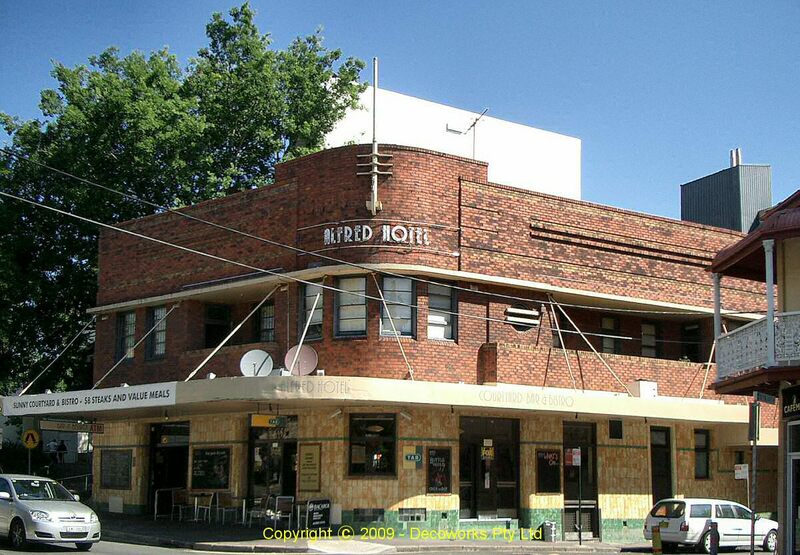 The Alfred Hotel is stylistically similar to the Australian Hotel in Chippendale and features the same tiled façade cladding and is listed on the RAIA register of significant 20th century buildings.